…but not of the crimes you think you committed. You think you’re guilty of not spending enough time with your loved ones. 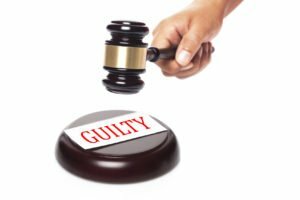 That you’re guilty of failing them because you are considering part-time in-home care or a full-time skilled nursing facility. Although immensely rewarding, caregiving for a cherished family member is one of the hardest things you will ever do, and the role of caregiver often comes at the busiest stage of one’s life. Caregivers in California often have full-time jobs on top of caregiving, plus children and spouses who need attention, too. How do I know if I’m working too hard? The first thing you need to do is admit that you’re working too hard. Pull out a sheet of paper and make a quick estimate of the number of hours you’ve spent over the past week caring for your loved one; working at your paying job if you have one; with your spouse/children; on recreational activities like reading, exercise, and watching TV; and sleeping. Then imagine it is someone else’s list. What would you say to that person? Is that person’s life balanced? How do I know I’m neglecting my own emotional and physical health? First off, take a deep breath, close your eyes, and think: How does my body feel right now? When was the last time I exercised? The last time I slowed down to enjoy a healthy meal, instead of just shoveling food in my mouth in exhausted desperation? A night out with friends? A walk in the park? A movie? It’s okay to take care of yourself. You shouldn’t feel guilty about it. In fact, taking care of yourself is a key part of caring for others. You can’t give to others if you’re running on empty. You will be a better, more patient, more loving caregiver if you feel refreshed and energized. How do I know if I’m judging myself too harshly? It’s natural to judge your performance as a caregiver, but remember, it’s a job you weren’t necessarily trained for. Ask yourself, what expectation have you set that has caused the guilt in this particular case? Is it a realistic expectation? If yes, then what will you do differently next time? If no, then let the guilt go. Okay. You’ve admitted you’re working too hard, neglecting yourself, and judging yourself. You feel guilty. But how can you alleviate that guilt? Get help. Asking for help is one of the hardest things to do, but it can be the best thing for you — and the loved one for whom you’re caring. You are not doing your loved one any favors if you’re exhausted and stressed out. There are many places where you can get help. Respite care. It’s okay to seek professional help for your loved one. Professional California home care agencies can provide care that can be scheduled for a few hours a week, full-time, or around the clock. Professional caregivers in California from Hired Hands Homecare can help your loved one with daily tasks including medication reminders and meal preparation, while freeing you to handle other responsibilities (like caring for yourself). Contact Hired Hands Homecare at 866-940-4343 for more information about these options. Our caring, professional caregivers in California can help you determine the level of support your loved one needs.